Solomon Islands are an independent state of South Pacific consisting of six large and approximately nine hundred small islands. A former British colony, the islands were the scene of one of the deadliest naval battles of the Second World War between the US and the Japanese fleet. 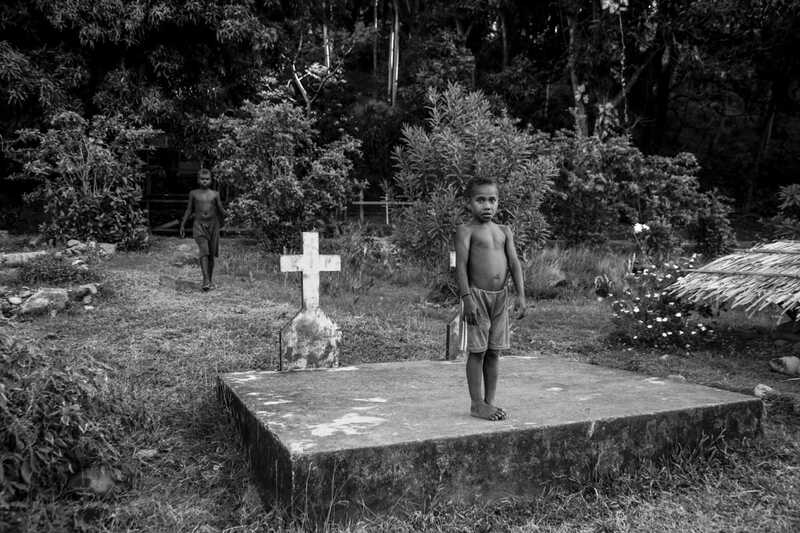 The seabed between the island Guadalcanal which currently hosts the capital Honiara and the surrounding islands, are spread with wrecks of the bloody conflict while the straits are now known as “Ironbottom sound”. These islands do not resemble like any other in the Pacific. Here you’ll not find white beaches with emerald waters and luxurious resorts. The beauty of the place consists from the very opposite. 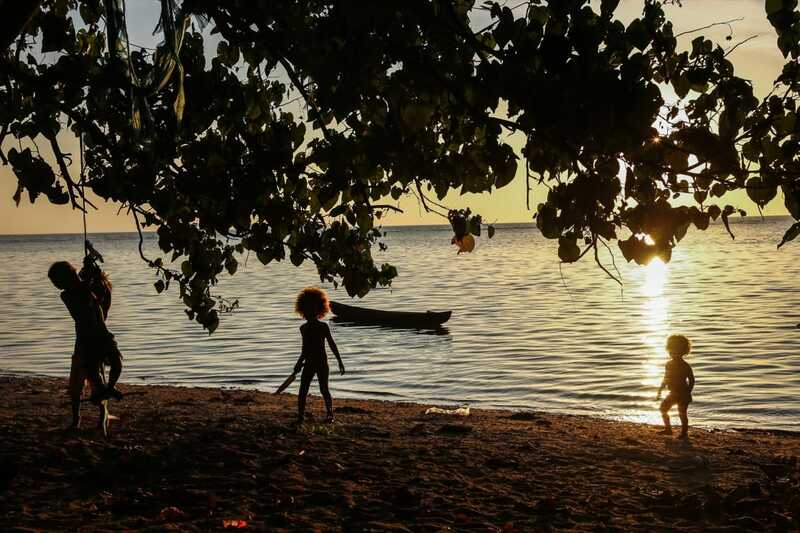 A wild, virgin environment full of volcanoes, a rich seabed with untouched coral reefs, jungles, remnants of shipwrecks and battles, but also great anthropological interest in island tribes living in an authentic, traditional and sometimes primitive way of life. Guadalcanal. The largest island maintains the greater contrast. 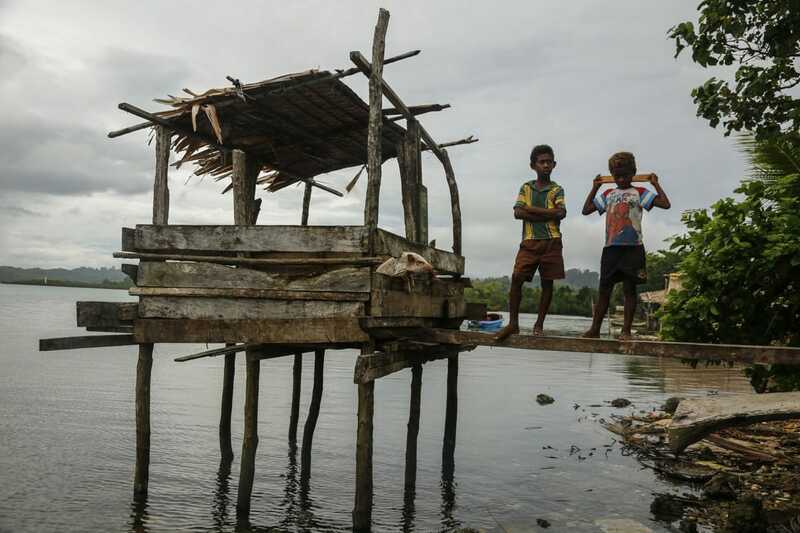 On the one hand, the modern capital of Honiara with many small shops, banks and casinos while on the rest of the island, hut villages are hardly connected by the only dirt road. If you’re expecting to find “postcard” style beaches you’ll probably be disappointed. But if you explore a while, you’ll find your own exclusive piece of paradise and the warm and rich sea life of the island will reward you. Tulagi. A very small island, two hours away from Honiara. Despite its size, it was the capital of the British protectorate. The beaches are not particularly beautiful for swimming, but the sight of debris from the war wrecks is unique. Taking a boat you will meet reefs full of colorful fish and many places for diving. The neighboring Nggela largest island has very few inhabitants, but the village we visited rewarded us a unique experience of the islanders’ lives, with countless blond kids yelling in joy, celebrating the arrival of the “white people” in the village. Savo. An island-volcano, overgrown by dense jungle. Solitary huts, the smoke of a cooking fire and a couple of settlements mark human existence here. Despite the inaccurate information, the island is the most beautiful in the area, surrounded by endless beaches and pods of hundreds dolphins playing with passing boats. 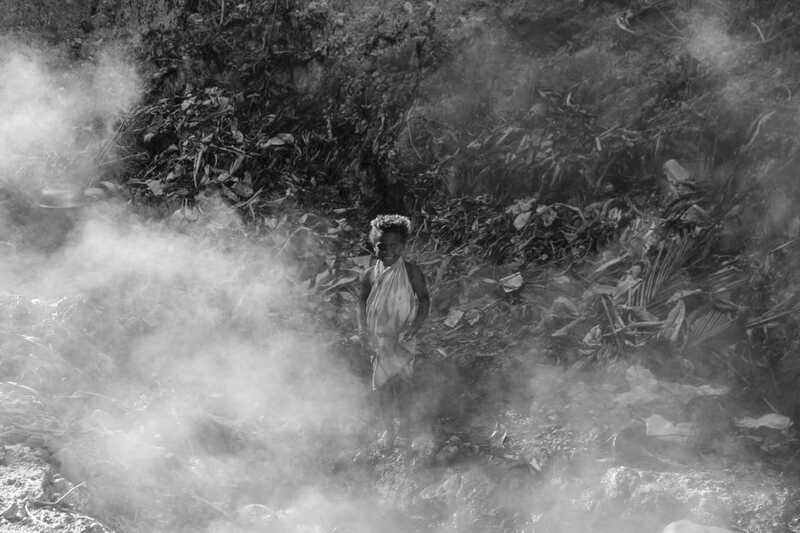 The children of the village took us to the point where volcanic vapors created an eerie sight, while the boiling water of the river was used to cook the daily meal. Air Niugini’s filthy airplane, after a 2:30 hours flight from Port Moresby, is landing on the main island of Guadalcanal and the capital city of Honiara. The airport is also a World War II monument, as major battles took place here. For our transportation we had chosen to rent a car, in order to explore the island through the sole road that runs a small part of its northern shore. Honiara is a small town with several banks. Nevertheless, it was difficult to exchange currency at a reasonable rate. It is one of the places in the world where Euro is not accepted in most banks or has a lower exchange rate than dollar. In addition, perhaps due to capital controls in Greece, we were not able to withdraw money from ATMs. Losing a lot of time with these procedures, we were finally driving eastwards on the island, ignoring the information mentioning that nothing is there. Indeed, just 5km from civilisation, there is only jungle and few scattered huts. It’s a rough dirt road, with deep mud holes and rivers that we had to cross. Our small 4X4 car had a hard time passing this terrain, offering us a “camel trophy” style adventure at this remote corner of the earth. The few villagers we met seemed surprised but quite sloth to advise us. After a long battle with mud, we had reached a point where a deep and rushing river cuts the road, ending today’s expedition. Upon the river banks, young women were washing clothes and utensils, while young guys approached us with curiosity. After our friendly socialization, some of the guys informed us that the rest of them were planning to attack and rob us, but they convinced them to change minds. Anyway, I don’t think they were able enough to do so. Returning back to the city, we are looking for accommodation as the darkness falls. The choices are few, overpriced and miserable. After a lot of wandering, asking passers-by and searching of the map, we found a large, clean, Chinese-owned hotel centrally located and reasonably priced. The few restaurants had European prices, but with delicious Pacific fish choices. After the dinner, we thought of going for a drink at a local bar. Arriving at the doorstep we see a crowd of men turning their heads towards us in a mood that felt quite hostile. Considering that Honiara is not safe after dark and with the earlier experience from Papua, we didn’t stay. The following day, the schedule aimed in the western part of the island, which is theoretically more residential and accessible. In this direction, civilisation ends as well, after the outskirts of the city. The route is enjoyable and the road network is good, with some traditional settlements. Dense forests of palm trees surround the route and the volcanic mountain Popomanaseu with an altitude of 2.335m rises sharply in the center of the island. Most beaches are not ideal for swimming. 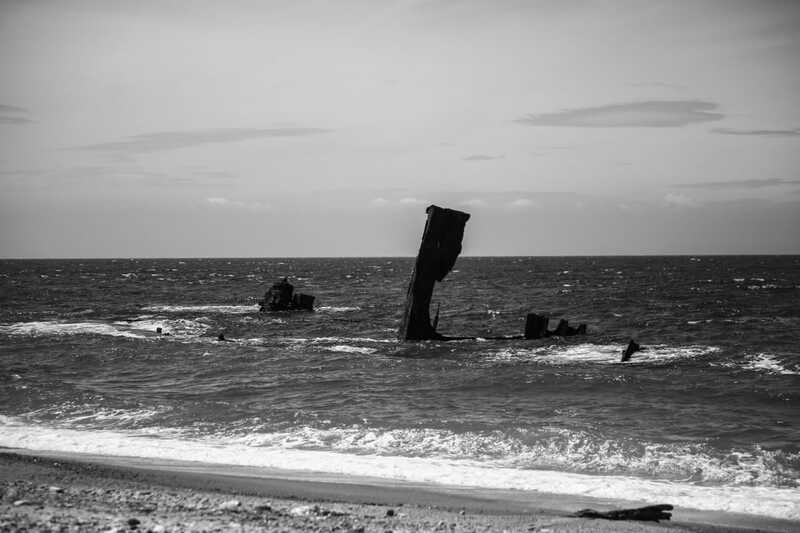 At some point off shore, a wreck of a Japanese battleship of World War II protrudes from the surface of the sea with its rusty chimneys. Many beaches in this country belong to someone, like that one too, as the owner appeared to ask for a ticket. We asked to just have a look, we took some pictures and left. In every village there is a church, but no restaurant, accommodation or other tourist infrastructure except from a few grocery stores. Some locals were barbecuing fish by the side of the road and we enjoyed the taste along with rice, by eating with hands on a banana leaf plate. 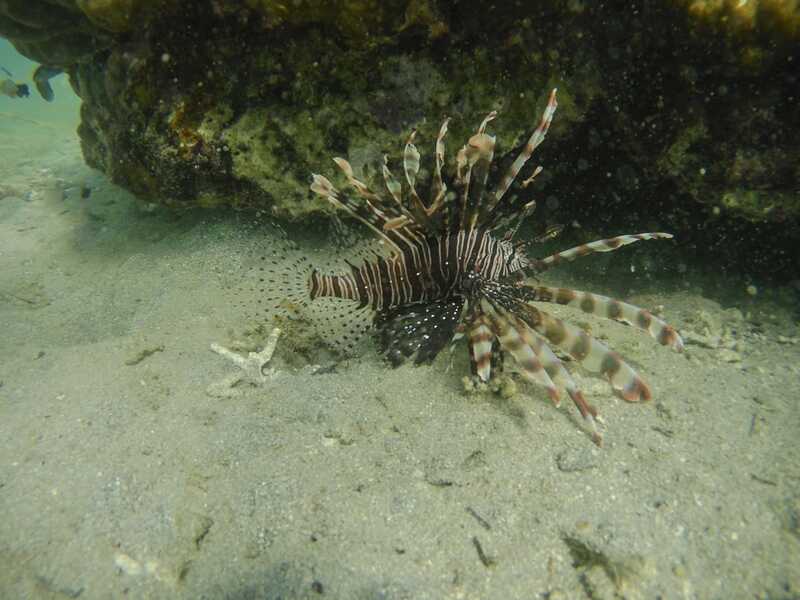 As time passed, the wind calmed down and the waves diminished, giving us the opportunity to swim in the warm waters of the Pacific and admire the underwater life. Small children were playing on the sandy beach and some older people informed about the wreck of a submarine somewhere in the open sea. We were snorkeling, searching the bottom for a long while and although a submarine is not a small object, it remained obscure. A boatman came with a canoe helping for the search. We finally found the wreck that was not in a good condition. In the next few days we will explore the nearby islands, which makes the car rental not a good idea as it will remain idle in Guadalcanal. We embark on one of the small boats with destination the island of Tulagi, the tiny sister of the two largest Nggela islands. There is not much to see there, more than to enjoy nature and the tranquility of isolation. On the island there is a motel and diving center, a school, a church, a shipyard and few houses. After a dispute between travel buddies, the solution of staying in a local home will prevail, with very basic conditions but which I personally prefer as more authentic. The island is so small that you can walk around it in a few time. The beaches are not very tempting and are scattered by rusty pieces of ship metal. In many parts of the coast, you can see tank crawlers, machine gun towers and entire battle tanks embraced by mangrove plants. We decided, instead of wasting the day and our money with a scuba dive, to make a deal with a boatman and take us to various places of ship wrecks and also to traditional villages of the nearby islands. The shipwrecks were deep enough and needed good apnea to admire them. Among other sights, an airplane which, like most of the wrecks there, was not at all intact. Approaching one of the villages of Nggela island, we faced enthusiastic welcoming from countless children who probably had a long time to see a visitor. 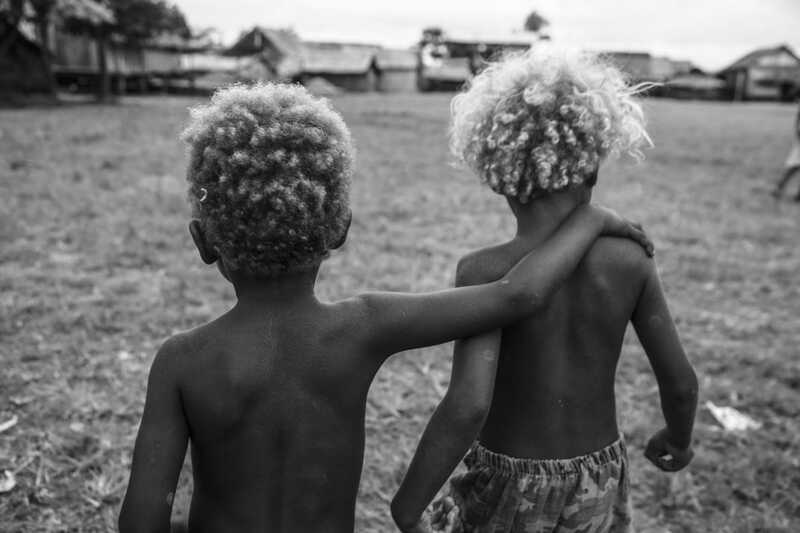 Most of these were blonde, a genetic distinction of the Melanesians that combines dark skin with light hair colour, straight or curly. Their houses were simple wooden huts on elevated piles, same like their small pig farms. These moments with the authentic people of isolated parts of the planet, is one of the most important experiences of a trip. We did not expect anyone to know my country, Greece, which lies on the other side of the globe, but surprisingly we were told that a Greek guy named Christos was active in the area by training dolphins to be sold in Dubai aquariums. I don’t have an idea about the laws of the country that allow this to happen, by selling wildlife creatures that don’t belong to anyone. 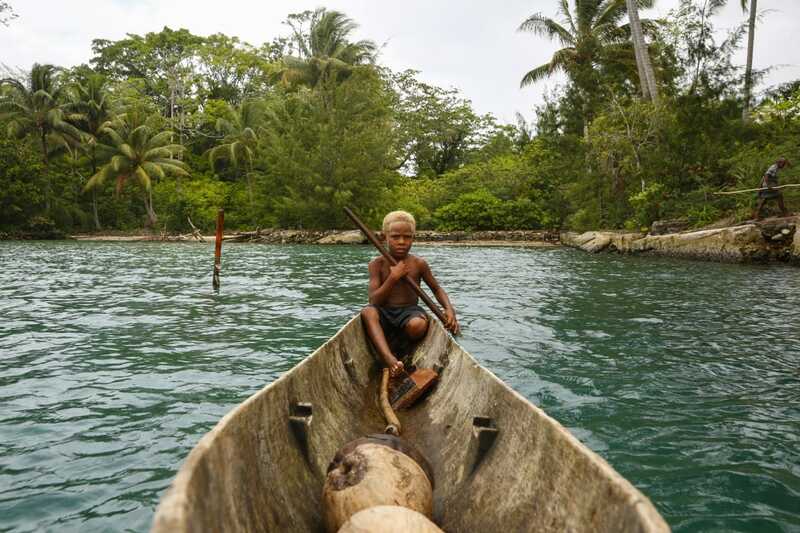 Returning to Tulagi we find many traditional fishermen, from small children navigating comfortably in wooden canoes, to adults with motorized boats. Among the islands there are some shallow waters where one can walk in the middle of the sea. In the evening our host had prepared a simple dinner before we got in the rooms with the uncomfortable beds. Some subtle sounds stirred my curiosity. I turned on my torch to observe a food chain parade. A shammy had grasped a cockroach from the neck. At the top of the walls -that weren’t attached to the roof-, some rats were strolling around. In the next few days we wished to visit another island. But the distance was long for small boats and the cost also unbearable. So, we returned to Guadalcanal and we drove west to reduce the distance. We were negotiating with several boaters who were not willing to postpone their work or rest, to transport us. Moreover, after an agreement with one of them, there was not enough fuel, so we had to drive him to get supply. 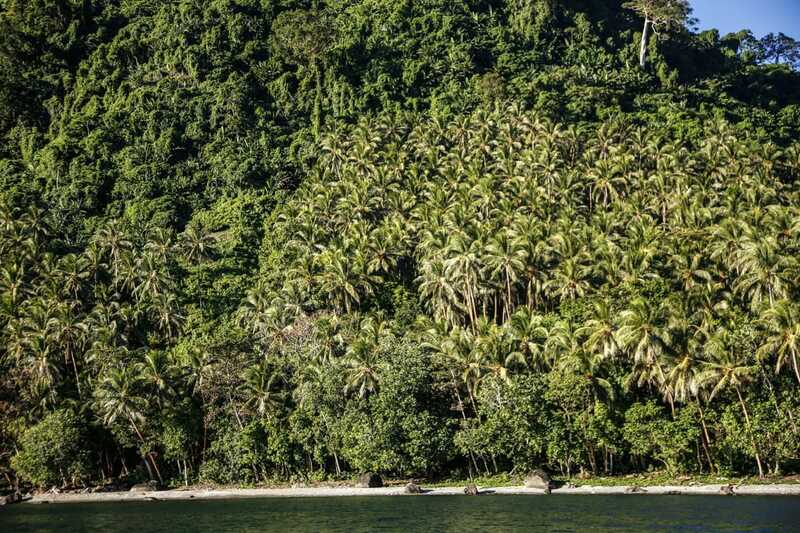 Savo is a small volcanic island covered by dense palm forests. On the island there are two small settlements and some scattered isolated huts. Its beaches are amazing and overall it resembles to a wild paradise. After some stops for swimming and enjoying the scenery, we disembark on a village, where children guide us on a path that leads to hot springs. 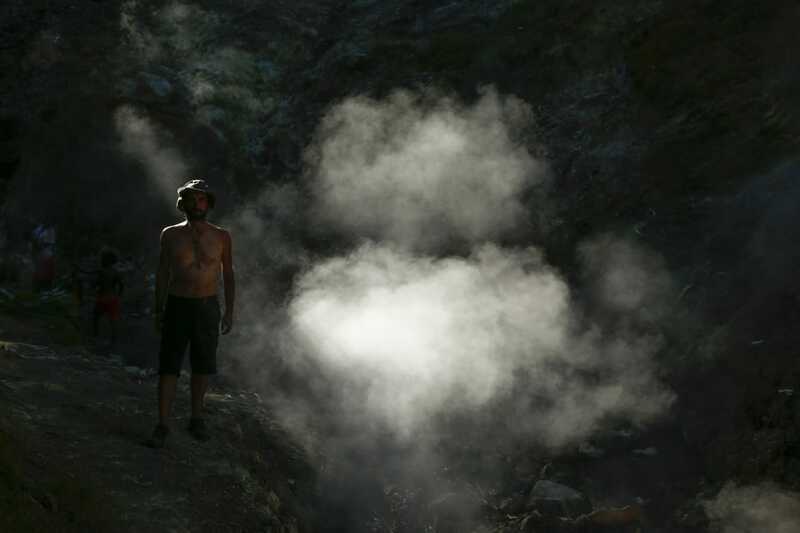 A river of boiling water, filling the air with volcanic steams, gives the landscape an eerie look. Children carrying utensils, place them in the water for the food to cook. Others were washing clothes. After we return, we ask the boatman to take us to the “dolphin nest”. The locals claim that dolphins have their home in the depths of a particular marine area. Arriving there, hundreds of dolphins began to jump out of the water surface, challenging the speed of boat. Wherever you looked at, the dolpgins disturbed the sea mirror-surface and made our heads turn with enthusiasm in every direction. We wanted to swim with them, but every time the boat was shuffling, they disappeared. We were vainly searching with the mask in the dark waters of the open sea for some movement. As soon as the boat started engine, they start their game again as they were teasing us. Savo, this idyllic spot in the Pacific, is a place where I’d like to stay for long, forgetting the modern way of life like these “Robinons” in their lonely huts. But our journey is coming to an end and we have to return to everyday reality and take our five return flights (Honiara – Port Moresby – Manila – Hong Kong – Rome – Athens). We will enjoy the sunset by swimming in the golden waters of Sago, after we have asked the permission of the owner of this beach, at this world’s end edge. The last night reserved us a little adventure. On the way back to Honiara, we witnessed a near fatal accident. A truck full of people, lost its course and found to be suspended over a river bridge, with two wheels in the air. The passengers seemed not to be disturbed by the nearly deadly incident and they were even enjoying. But for us, the only road on the island had been cut off and we were trapped with a car that we had to deliver back before our flight in the morning. The situation was disappointing. It seemed impossible to pull the heavy truck back on road, even if there was a crane on the island, it would have to step on the narrow bridge to move it. The night time passes and our anxiety grow with hunger and thirst. Attendees drew an incredible detachment plan. After securing the heavy vehicle to the bridge rails with straps to prevent getting it carried away on the cliff, they gathered the forces of their bodies and began pushing it, rhythmically and against gravity. Whenever they gained little ground, they stretched the straps even more. Miraculously, after this risky task, the truck returned on the road that was opened. While traveling, one has to deal with the unexpectencies and the misfortunes with positive thinking and perceive them as precious experiences that are ultimately the most unforgettable.